Are you married? How old are you? How’s your health? Have you ever been arrested? What country are you from? Do you like to drink? These are probably not questions you want to be asked by someone you barely know, let alone by someone determining your future employment. These prying inquiries may be a faux-pas in polite conversation but they are an absolute no-go in the context of a job interview. 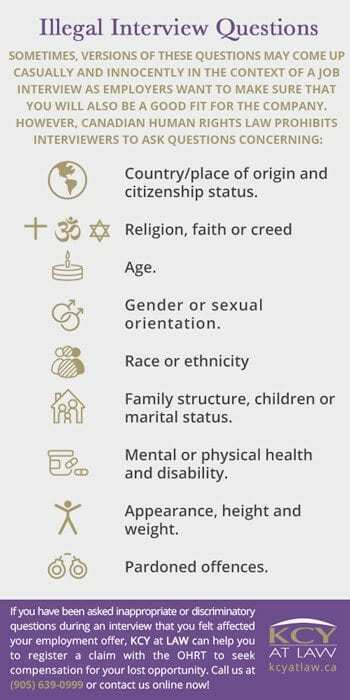 With very limited exceptions, it is forbidden to ask questions about any of these topics at any point in the hiring process. Questions should only seek information relevant to the candidate’s ability to perform the job for which they are applying. The trouble with certain inappropriate questions is that, even if they were asked in passing and without mal-intent, they leave open the question of what role your answers to them played in the hiring process. Kartuzova v HMA Pharmacy Ltd. 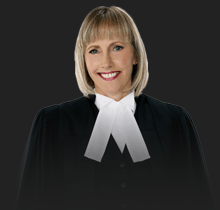 According to the Ontario Human Rights Tribunal (OHRT), simply asking improper questions is enough to prove discrimination. Such was the case with Kartuzova v HMA Pharmacy Ltd. In this case, Kartuzova applied for a position as a pharmacy technician and was denied the job after an interview ended suddenly following questions about her family and marital status, financial situation, and how she came to Canada. Kartuzova said she had felt obligated to answer these questions and that the tone of what had otherwise been a very positive interview changed abruptly following her answers. 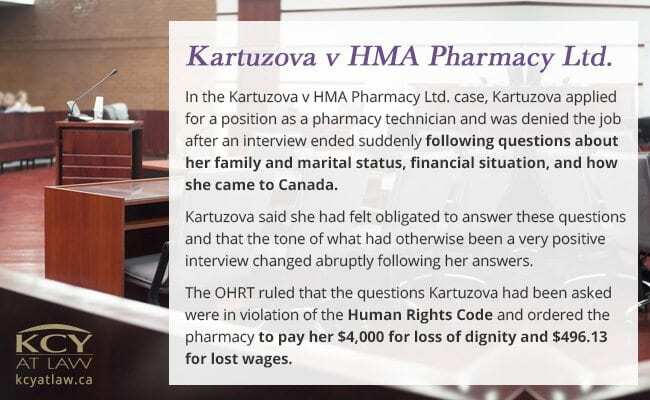 The OHRT ruled that the questions Kartuzova had been asked were in violation of the Human Rights Code and ordered the pharmacy to pay her $4,000 for loss of dignity and $496.13 for lost wages. 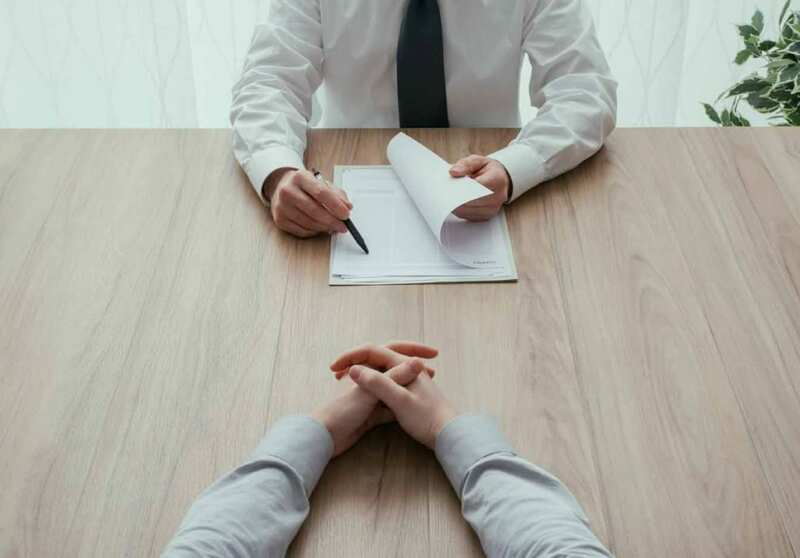 If you have been asked inappropriate or discriminatory questions during an interview that you felt affected your employment offer, KCY at LAW can help you to register a claim with the OHRT to seek compensation for your lost opportunity. Call us at (905) 639-0999 or reach us online to book your consultation.